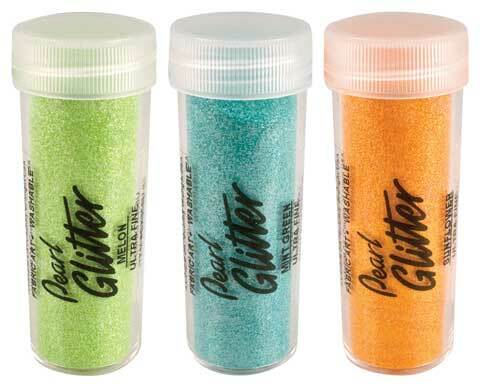 This ultra-fine, opaque polyester glitter will add pearly sparkle to art and craft projects. Apply with a 2-way glue pen or on wet glue or paint. They look best in thin layers over similarly colored surfaces.